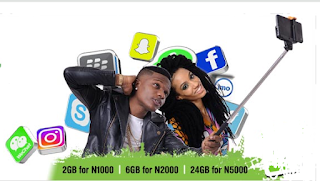 Here's how you can check the balance of your data subscription on the Glo network, this post is like an update to one of my previous write-ups >>> Latest Glo Internet Data Plans and subscription codes. You can check the Balance of your Glo internet subscription (data balance) via SMS, simply send "INFO" without the quotes as a message to 127 then wait for a reply message from the network containing all the information you need to know about your current Glo internet subscription such as expiry date and remaining MB. Dial *777#, select your current subscription plan > Choose "Manage data" > Select "data balance" and wait for a reply message from the network. You can also check your Glo data balance via USSD by dialing *127*0#. I hope this was helpful, kindly take few seconds to share this list with your friends via the social /Share buttons below this post. And if you have any question regards this post, relay it to our comment box for quick response. Cheers! Life saver, just what i needed , guess every one is now porting to glo because of there cheap data , even me i no wan carry last.